Expedia has some Era Bordeta travel packages ready for you. Combining your lodgings and airfares is one of the simplest ways to save cash on your upcoming adventure. As much as 42%* can be saved when you book a package deal on Expedia. Search through our global database of more than 400 airline partners and 321,000 properties worldwide. Too many on there to select from? Don't worry — we can help you decide! Don't worry about changing your group's plans, as we don't charge additional cancellation fees for almost all of our reservations. It can be really nice to just amble around the streets when you're in a new place, but sometimes it's wise to have a plan. Grab your schedule — we have some excellent ideas for your Era Bordeta vacation. Whether you're a novice or a skilled speed skater, Vielha Ice Palace is an awesome place to spend an afternoon. Pull on your jacket and gloves, rent some blades and coast along at your own pace. Travelers have an abundance of choice in and around this destination. Put on your finest khakis and grab your favorite driver. If you'd like to spend a day on the fairways, book in a tee time at Luchon Golf Club. Still got time on your hands? History is full of lessons. Drink in the knowledge and learn from times past at Aran Valley Museum. There are 4 Expedia accommodations in Era Bordeta. Book now to guarantee you get a room for your next cheap vacation or luxury getaway. 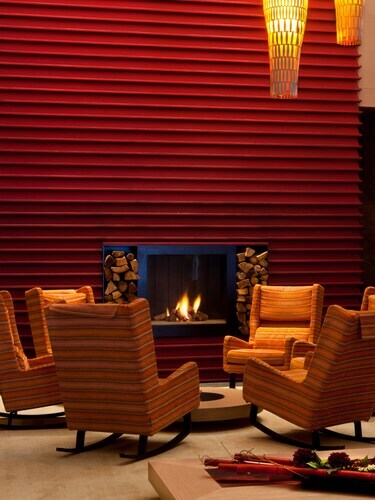 Start your vacation on a fancy note by sliding between the soft sheets at the Parador De Vielha (Ctra. de Túnel, s/n). Alternatively, the Camping Prado Verde (Carretera de Lleida a Francia N-230) is an excellent place for the thrifty traveler to lay their head. Make your way through the security gate, board the aircraft, put your bags in the overhead locker and get comfy! Your exciting trip to Era Bordeta isn't too far away. 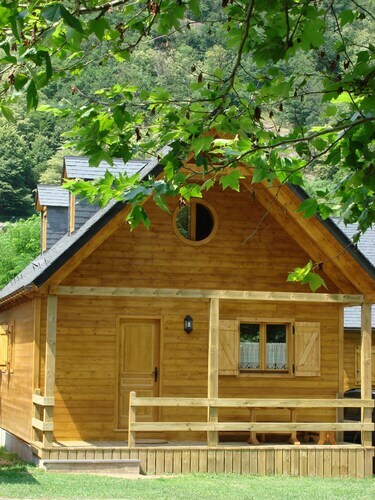 After touching down at Tarbes - Lourdes - Pyrenees International Airport (LDE), you'll find yourself situated 45 miles (72 km) from the downtown area. Situated in Era Bordeta, this campground is within 9 mi (15 km) of Parc de visualizacion de fauna autoctona, Uelhs deth Joeu, and Church of Saint Miqueu. Aran Valley Museum and Vielha Ice Palace are also within 9 mi (15 km). 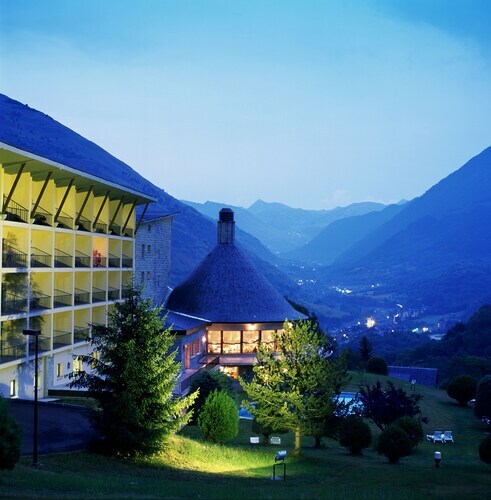 Located near the slopes, this Vielha e Mijaran hotel is in the mountains and within 1 mi (2 km) of Valle de Aran Museum, Vielha Ice Palace, and Church of Saint Miqueu. Aran Valley Museum is 0.8 mi (1.2 km) away. 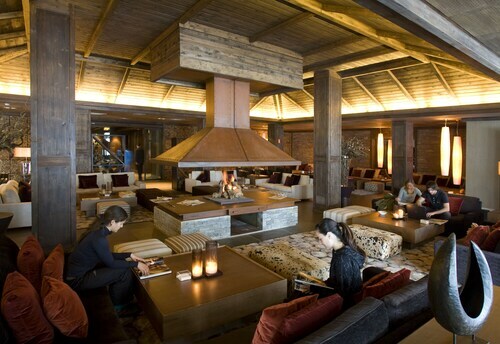 Situated in the mountains, this spa hotel is within 1 mi (2 km) of Montgarri Outdoor and Baqueira Beret Ski Resort. PyrenMuseu and Via ferrada Poi d'Unha are also within 6 mi (10 km). 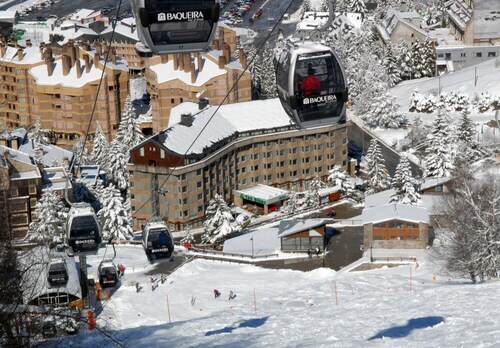 Located near the slopes, this Naut Aran hotel is in the city center, within 1 mi (2 km) of Montgarri Outdoor and Baqueira Beret Ski Resort, and close to winter sports such as cross-country skiing. PyrenMuseu and Via ferrada Poi d'Unha are also within 3 mi (5 km). Situated in Vielha e Mijaran, this spa hotel is within 2 mi (3 km) of Aran Valley Museum, Church of Saint Miqueu, and Vielha Ice Palace. Valle de Aran Museum is 2.1 mi (3.4 km) away. 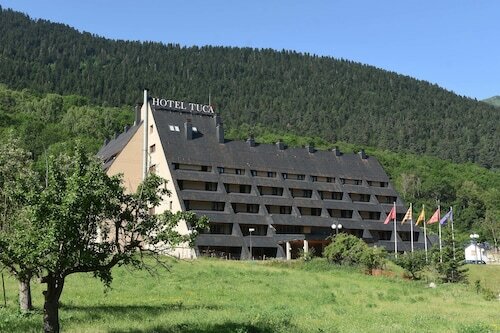 Situated in Bagneres-de-Luchon, this hotel is 0.5 mi (0.8 km) from Luchon Golf Club and within 9 mi (15 km) of Peyragudes and Parc de visualizacion de fauna autoctona. Col de Peyresourde is 9.3 mi (14.9 km) away. Luchon Station is 13 minutes by foot. This family-friendly Naut Aran hotel is located in a provincial park, within 1 mi (2 km) of Montgarri Outdoor and Baqueira Beret Ski Resort. PyrenMuseu and Via ferrada Poi d'Unha are also within 3 mi (5 km). 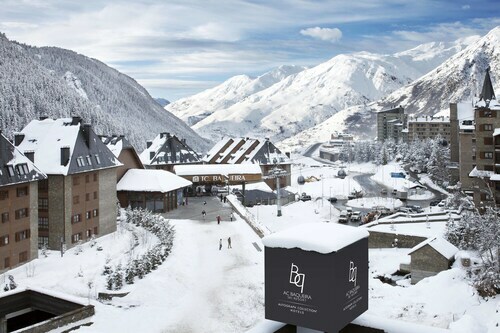 Located in the mountains, this ski-in/ski-out hotel in Naut Aran is within 1 mi (2 km) of Montgarri Outdoor and Baqueira Beret Ski Resort and close to winter sports such as cross-country skiing and skiing lessons. PyrenMuseu and Via ferrada Poi d'Unha are also within 6 mi (10 km).